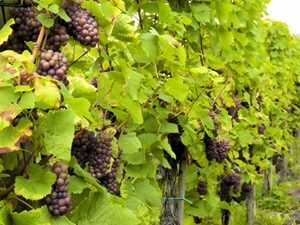 Viticulture requires just the right conditions for grapes to ripen at the perfect pace and reach the optimal Brix (or sugar concentration) levels for fermentation. Depending on the climate you're working in, you may need to strategically leverage an irrigation system to overcome water supply obstacles for your vineyards. If you have hard water, mineral deposits could interfere with these solutions, particularly if they're more nuanced and use smaller holes. Fortunately, water softener systems can break down and prevent scale buildup, enabling your irrigation infrastructure to function like new. Take drip systems, for example. Also called micro-irrigation, this solution is particularly useful for vineyards with typically dry conditions. Employing small, targeted openings in the infrastructure, a drip irrigation system delivers water right where it's most needed, allowing plants to get the water they require while consuming less of the resource as a whole. According to Western Farm Press, viticulturists in San Joaquin County, California, are even seeing advantages of having dry soil by improving their regulated deficit irrigation practices. A study by the county's University of California Cooperative Extension examined how these practices could be leveraged to see gains in plant growth and sugar content. The technique depends on nutrition management and using the right equipment to can control water delivery in a nuanced, fine-tuned manner. It's not hard to imagine how scale buildup and corrosion could prevent grape growers from meeting long-term success with this approach, however. If they're also dealing with hard water that clogs irrigation pipes and spray nozzles or damages the equipment over time, they'll fail to achieve the precision they need and may have to continually invest in additional supplies. Treating the water supply without adding chemicals could be a great assistance in this case. Hydrosmart's water conditioning technology uses frequencies that remove scale, prevent buildup and reduces the corrosive quality of minerals found in water. The solution also makes important nutrients more bio-available to plants, further boosting the health and quality of grape harvests.